Setting clear individual goals and aligning them with the company’s goals is a proven way to contribute to both individual and organizational success. It’s clear that goal-setting is beneficial for individuals and for companies. Setting and achieving goals keeps employees looking forward to new accomplishments and it motivates them even more than factors such as financial gain. 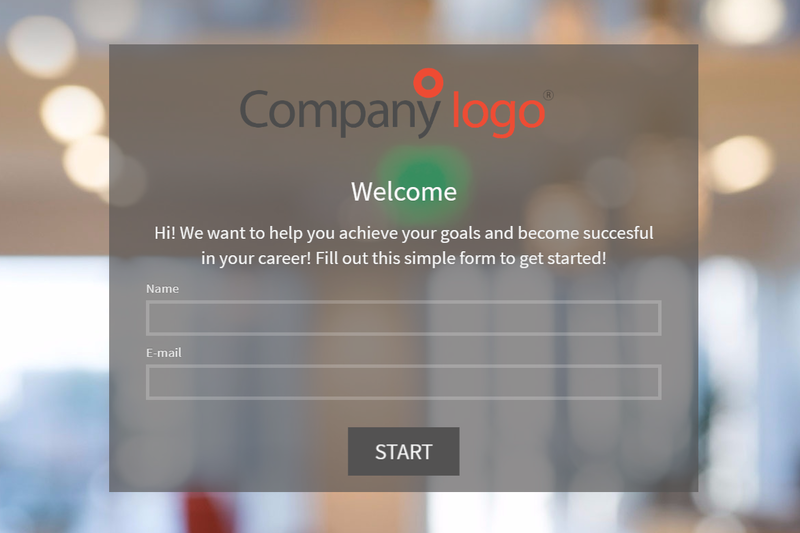 To customize this template after signing up, choose ‘Employee Goals’ as example when creating a new survey. Employees who understand their own goals in an organization will naturally get more engaged in what they do. Engaged employees are loyal and committed to the company. They are ambitious, develop positively and take responsibility. It is therefore logical that a higher employee engagement is closely linked to more customer satisfaction, customer retention, productivity, and profit. Goals give an individual more purpose in life and something to look forward to which in turn increases performance. When setting new goals it is essential to keep in mind that the best goals are formulated SMART: specific, reasonably, measurable, attainable and time-bound. Many employers put systems like this in place to justify promotions, bonuses or raises. In such systems, a number of employee goals must first be attained before they can come into consideration for a higher level job. Why use Survey Anyplace as an Employee Goals Measurement Tool? SMART goals are specific, measurable, achievable, relevant and time-bound objectives you wish to achieve. Specific: Choose a clear and specific goal. Measurable: Choose a measurable goal so you can track your process and stay motivated. Achievable: Your goal needs to be realistic and attainable to be successful. Relevant: ensure that your goal matters to you and that it aligns with other relevant goals. Time-bound: Choose a deadline to focus on and something to work toward. Set clear goals and align them with your company’s goals. When employees understand how their individual role and responsibilities contribute to organizational growth, they’re often more focused and motivated to achieve goals that result in success for both them. Discuss your goals with your colleagues or manager. They can give you valuable feedback, this way you can easily adjust your goals if necessary. Writing down your goals is useful both for yourself and for your manager. You can keep track of your own achievements and you can show your improvements over time to your manager. The employee goals template is ideally suited for this. To use this sample Employee Goals Template, sign up for Survey Anyplace , and choose ‘Employee Goals’ as template when creating a new survey. It is important that the evaluation can be done efficiently and that the results are automatically transferred to a central system for effective follow-up. While setting employee goals through paper forms, PDF or Word documents is possible, these methods have significant disadvantages. Following the assessment, the data will need to be transferred to a central system which can result in errors and delays.